The top real estate agents & full service realty office , put together this Costa Rica Real Estate Starter Guide as a collection of some of the our most common customer questions. Use the Contact us form to the left if you do not find the answers to your questions below. 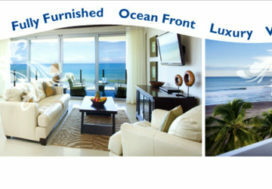 One of the REMAX Oceanside licensed real estate agents is standing by to help guide you through the process. Foreign Investment | Why are so many Expats choosing Costa Rica? Unlike most Latin American countries, foreigners in Costa Rica have the same property ownership rights as locals when purchasing property. This pertains to most of the property bought and sold, but there are a few exceptions that are important to know about including the Maritime Zone. The zone includes the first 200 meters off the coast on both the Pacific and Atlantic. A law was passed in the 70’s allowing owners of beachfront property to gain a fee-simple title to their waterfront land. Only 10-15% of the land owners took advantage of this leaving the remaining 85-90% of the coast a concession zone which is a restricted lease from the government. The restrictions to ownership and development on concession property center around protecting the environment but there are also obstacles to foreign ownership. When buying beachfront condos, homes or lots, we suggest you stick to the titled property which is mostly located in and around the Jaco Beach area on the Central Pacific coast. The Costa Rica political and economic state is safe & stable. All properties are registered in a National Property Registry, making the due diligence process transparent and clear. Once the property is deemed clean, most locals and foreigners purchase real estate in a Costa Rican Corporation. The legal entity minimizes personal liability, simplifies the transfer in the case of a death and provides as simple legal structure for shared ownership. Cost of living is one of the most common driving forces of the foreign buyer so the low annual holding costs are a major plus. Property taxes are extremely low at only .25% of the declared value ($250 per $100,000) per year. Prices of excellent quality services like healthcare and dentistry are 50-70% lower than many other Countries. Phone and cable and high-speed internet service can be found in most developed areas of the country. Unlike many other international destinations the drinking water is drinkable. In Costa Rica you do not have to sacrifice your quality of life to gain an affordable cost of living. In Costa Rica there is something for everyone! With very little research you will find there is a variety of pleasant climate types and landscape options from cooler mountains to beaches, deserts to rainforest. 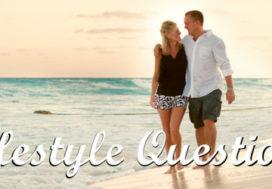 The coast lined with tropical beaches that stay in the high 70s to mid-90s all year around. The central valley and mountain highlands boast of spring weather all year with cooler breezes in the mid-60s to mid-80s all year around. On the coast, the areas that get a little more rain like the Central and Southern Pacific coast (including Jaco, Esterillos, Manuel Antonio and Dominical) says green all year it is called the “Green coast”. The “Gold coast” is the Northern Pacific or Guanacaste peninsula which stays much dryer with landscapes that will remind you of the Southern California hillsides. If you browse through our Expat Community and Real Estate Locations you will find the average temperatures and rainfall included. The highlands change with the altitude. You can find mountain tops covered with coffee farms, cloud forest, and of course the urban jungle, San Jose which is come to the majority of Costa Rica residence. Nevertheless, approximately 25% of the landmass in Costa Rica is protected environmental reserves so nature is nearby no matter where you end up. The last year was our top producing year in our 10-year history that we attribute to the following conditions. Growth of the North American Markets: The performance of the stock market and increase in real estate values all over North America has provided extra purchasing power. 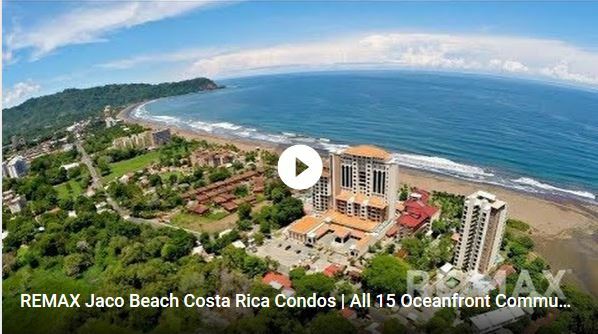 Additionally, some are recognizing that these markets may be nearing a correction meaning that now is a great time to cash out of the stock market and diversify with real estate in Costa Rica. We are even seeing clients with more bitcoin than they know what to do with, so they are purchasing property as well. The US election: As with every election we have folks that are unsatisfied with the direction of the United States and others on the complete opposite side of the coin who now feel more secure with their finances. Caribbean hurricanes: Our hearts and prayers go out to everyone who was devastated by the hurricanes that tore through the Caribbean this year where we have many RE/MAX affiliate offices. A side affect of these storms is that tourists changed their vacation plans and are ending up in Costa Rica. I hear over and over again from folks that come in our office that they had plans to visit the Caribbean but were forced to change their plans. 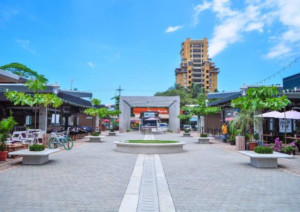 Regional development: Progress is apparent in Jaco Beach where 6 new commercial developments came to completion last year with the most notable being the Jaco Walk plaza that is pictured to the right. This plaza alone hosts 98 commercial stores and ample parking. This family friendly plaza is a favorite of ours with EXCELLENT cuisine and entertainment. Announcement of the Orotina Airport: Pictured below is a rendering of the Orotina International airport that is expected to open in 2027. 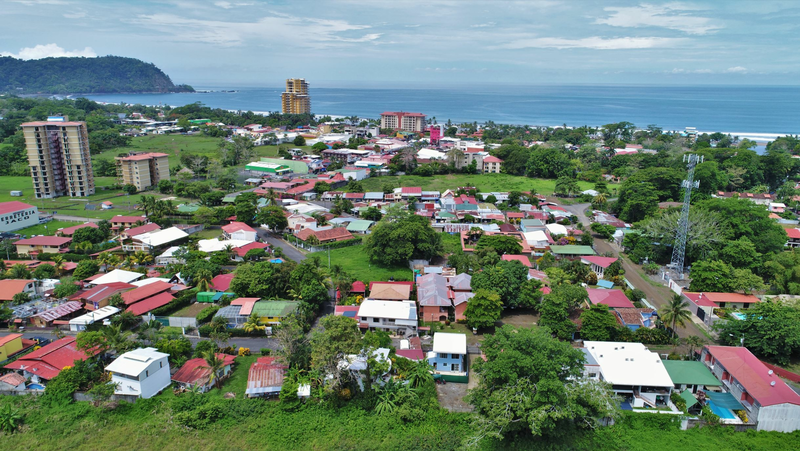 In May of the previous year, the president of Costa Rica signed an executive decree to start the process of acquiring 370 privately owned properties to facilitate this project. Once complete, the current international airport in San Jose will facilitate regional flights and the Orotina airport will become the countries main international airport. This is great news for us on the Central Pacific because Orotina is only a 30-minute drive from Jaco Beach. 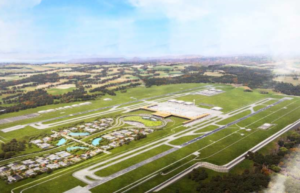 However, it’s no secret that things move slow in Costa Rica, but we believe that this airport will be a reality even if it is behind schedule. Prices are still low: Real estate values in the Central Pacific have yet to recover to their pre-2008 values. 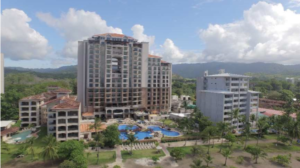 We attribute that to the difficulty of foreigners in obtaining financing here in Costa Rica. Obtaining a loan from a local bank is possible but extremely difficult and the rates aren’t pretty. For that reason we have been selling many properties with Seller financing. We also see clients using home equity lines on their North American residence as well as self-directed IRA’s to purchase property down here. Please let us know if we can assist with any questions or help with any of your Costa Rica real estate needs! We hope this Costa Rica Real Estate Starter Guide had helped to spark your interest and calm your nerves. With the ocean, rainforest and mountains at your back door and all the technological amenities at your fingertips, Costa Rica is worth all the attention your are giving it. We hope to see you down here shortly. In the meantime, feel free to create your own login on www.remax-ocr.com which will allow you to save your own searches and stay up to date with the market. For your convenience, this buyer's guide provides resourceful information on the purchasing process in Costa Rica. However, the best assurance of a smart investment is through the advice and assistance of a local, knowledgeable RE/MAX professional. About Us: We, at RE/MAX Oceanside Realty, serve buyers and sellers in the Playa Jaco, Garabito, Central Pacific Costa Rica area and beyond. Our team is known for having the most educated, certified and licensed real estate agents in the business. We know you worked hard for your investments and we will equally work hard for you. Let us put our local expertise, knowledge, and connections to work for you. Copyright © 2018 RE/MAX Jaco Beach, All rights reserved. 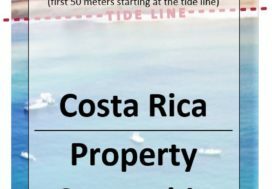 Costa Rica Property Sellers | Good News! Jaco Beach Holiday Events | You are invited!! !